Quantifying carbon, energy and water balance in both natural and managed ecosystems and understanding the processes regulating them is crucial to provide tools for policy makers and to facilitate public understanding of climate change science. Semi‐arid biomes occupy approximately 40% of the global terrestrial surface and contain almost twice the carbon stored in temperate forest ecosystems. 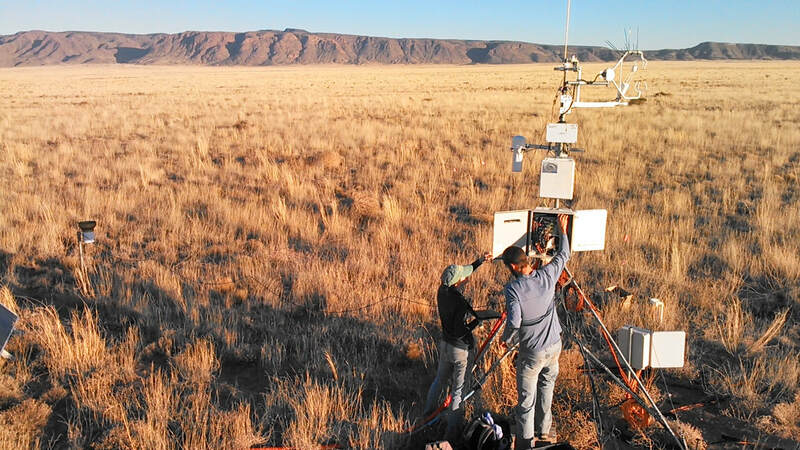 Despite the large area and carbon stores in these ecosystems, a lack of research has led to large uncertainties in estimates for semiarid regions such as the Southwestern US. To reduce these uncertainties, my research focuses on understanding the primary mechanisms regulating carbon, energy and water balance within ecosystem or landscape units across the Southwest that vary in climate, vegetation, soil characteristics, and disturbance.